Do we agree on this list? 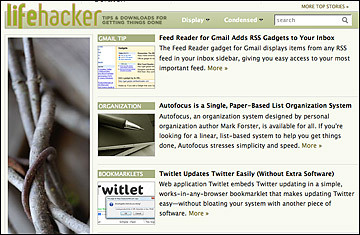 Time magazine recently published this list of the Best Blogs 2009. Do you agree? I see they consider Techcrunch top of Overrated blogs and this sound very strange to me. And they voted lifehacker as one of the best. What do you think? Categories: news | Tags: blog, blogging, lifehacker, list, multimedia, techcrunch, technology, Time, trends | Permalink.